Ages: 4 1/2 to 5 1/2 Years - The 5 Year Curriculum is a PreK program for children who are older or more advanced. Click to determine which curriculum to use. Learning: Academics, Bible, Development, Self-care, Handwriting, Music, Visual Perception Click to see full list of Objectives taught. The 5 Year Curriculum focuses on writing letters and identifying the letters in words. Each week contains a sight word taken from the "Fry Instant Word" list. Academically, the child is introduced to many early-elementary concepts - coins, clock, addition, weather, and so much more. The 5 Year Curriculum Bible themes focus on the meaning behind the Scripture instead of simply memorizing Bible stories. The child will learn what the Bible is, who God is, ways that God desires to help us, and how we need to live. Development and self-care are important parts of the 5 Year Curriculum. 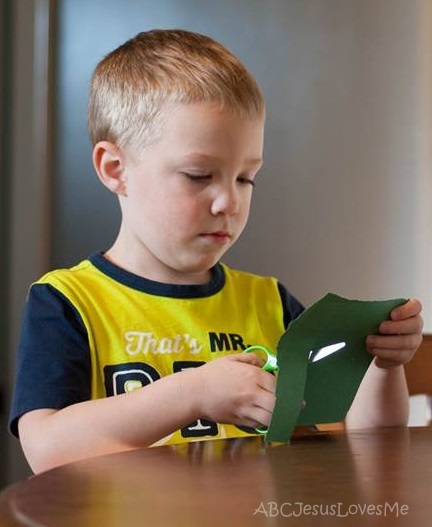 Gross and fine motor skill activities along with visual perception activities are part of this curriculum. Children practice correctly writing letters, drawing words that begin with the letters, and finding the letters in words. 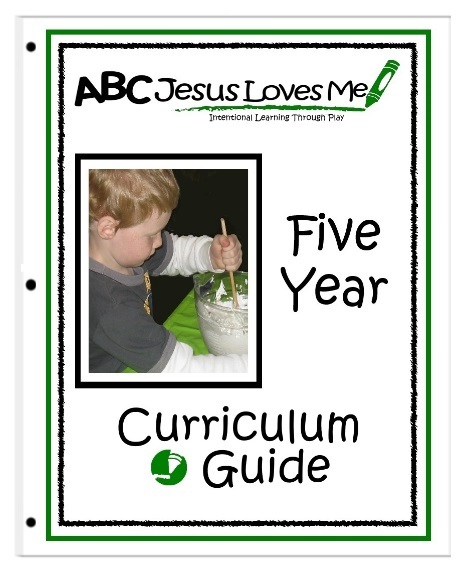 The 5 Year Curriculum Guide contains 112 pages which make up the complete 36 Lesson Plans in the 5 Year Curriculum. Also included are the Curriculum's Scope and Sequence and the Daily Schedules which divide each Lesson Plan into a four-day/week guide for focused activities. 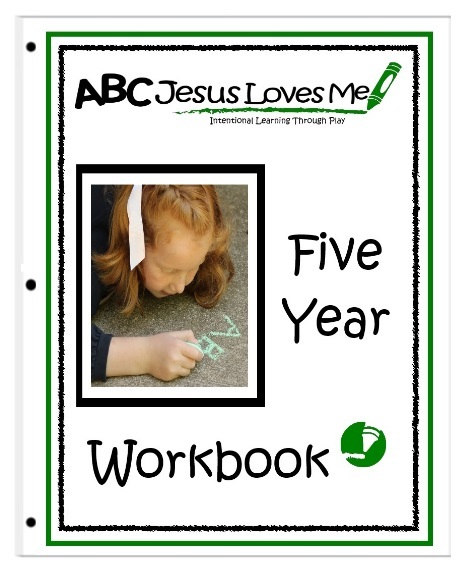 The 175+ perforated worksheets in the 5 Year Workbook include: Letter Writing, Visual Perception, and Bible Worksheets, and the Objective Checklist, as well as the ABCJLM activities used throughout the complete 5 Year Curriculum. Also included in color is the ¾” Blank Tracing Worksheet, First and Last Day of School posters, Objective Poster, and Memory Verse Cards. 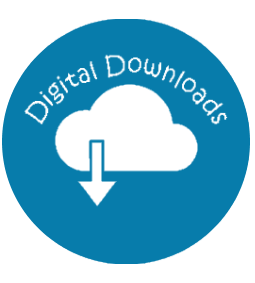 The 5 Year Curriculum Digital Downloads consist of the Bible Songs and Sight Words. Print, hole punch, and bind together for easy access and mobility. Purchase the 5 Year Curriculum Bundle and receive the Digital Downloads for free.